Canada - Bridge Lake , B.C. 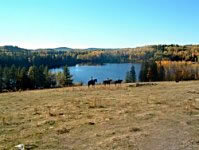 We are a small, family-owned guest ranch located in the beautiful South Cariboo region of Western Canada, also known as "Cowboy Country". With a guest capacity of 16, we offer an exclusive and personalized guest ranch experience. Friendly informality blends perfectly with the comforts of a first-class resort. Since we opened in 1996, guests from around the world have returned again and again to enjoy the warm hospitality of our ranch staff. Why? Because we pride ourselves on meeting your needs and then taking that extra step to exceed your expectations. Do you live with never-ending deadlines and schedules, or just need to get away from it all for a while? Be prepared to trade the pressure of day-to-day life for fresh mountain air and the freedom to fully experience the great outdoors, or to just relax! Either way, when you visit us, you can return to nature without sacrificing the pleasures of home. 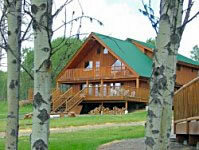 Be forewarned, however, you will find it hard to leave once you have become part of the Montana Hill Guest Ranch family?